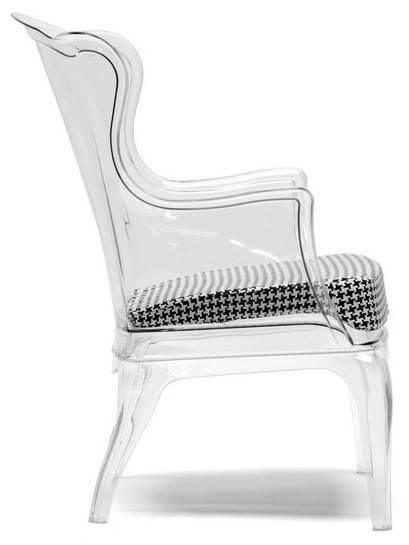 Tasha chair comes with a delightful nouveau-aristocratic appearance, one that inspires both elegance and comfort. 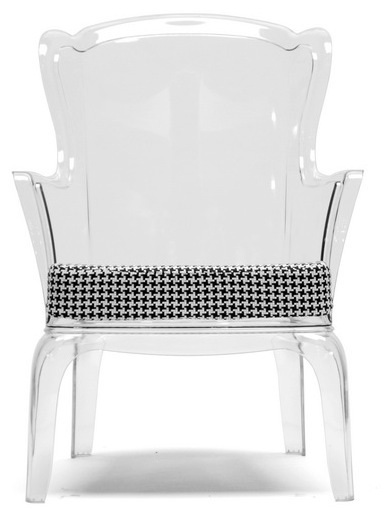 The chair is made of injection-molded polycarbonate with houndstooth pattern or black cushion that ensures a more friendly and cozy look. Its see-through nature is quite appealing, and it can be adapted to both playful outdoor arrangements (without cushion) and stylish interiors. Comfortable and versatile Tasha chair gives brightness and character to the interiors. -- Please Choose an Option --	28.5"W x 29.5"D x 38"H: Seat Height - 17.5"